Posters, such as this ‘Welcome’, are one option we train for gathering and focusing meetings. Have you been wanting to add to your current skill sets in your meeting facilitation work? We have the solution. 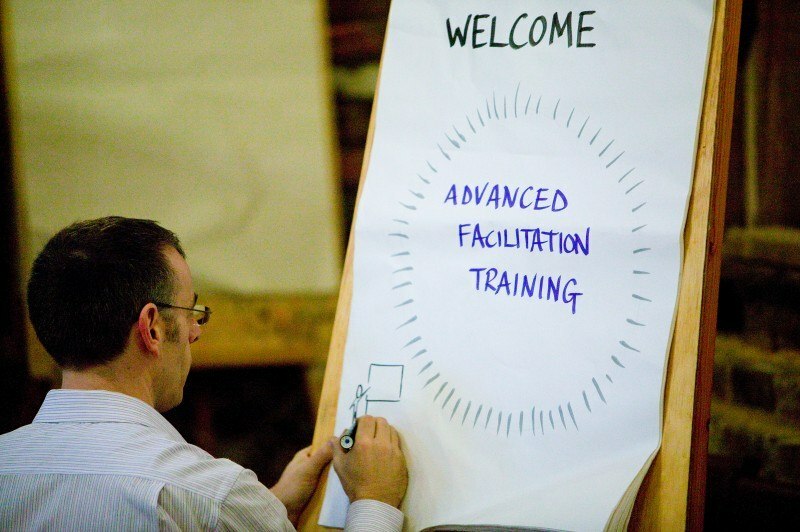 Consider our Advanced Facilitation Training on 9th & 10th July near London. Read more about the training or contact us and we can discuss whether the workshop is a fit for your learning goals. Join us!